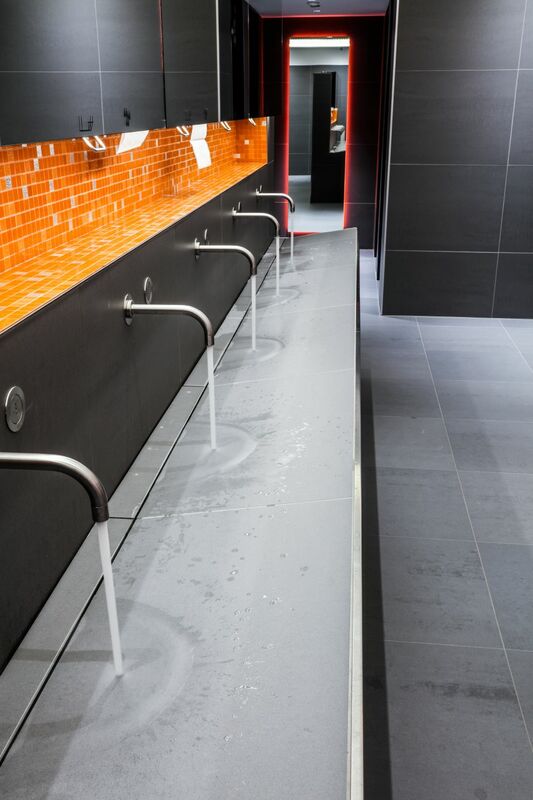 The restroom facilities feature the KERDI-LINE drain with a frameless tile covering support which accommodates a large-format tile. 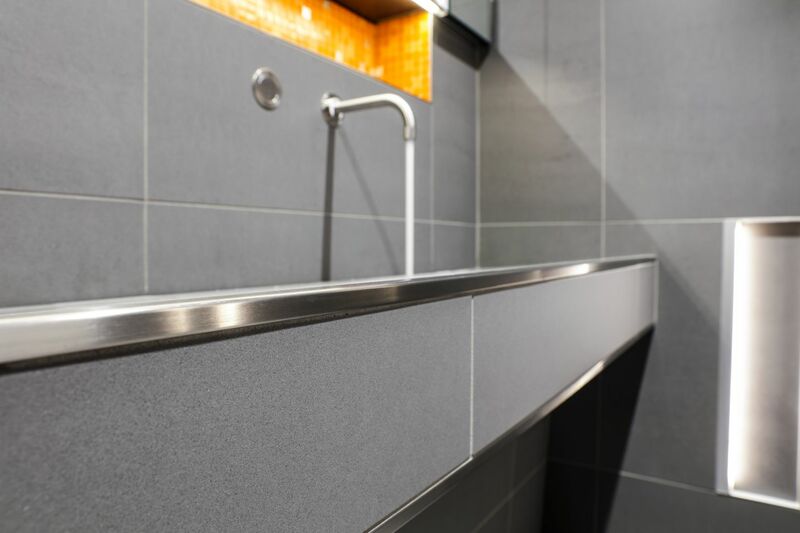 QUADEC in brushed stainless steel frames the tiled sink. 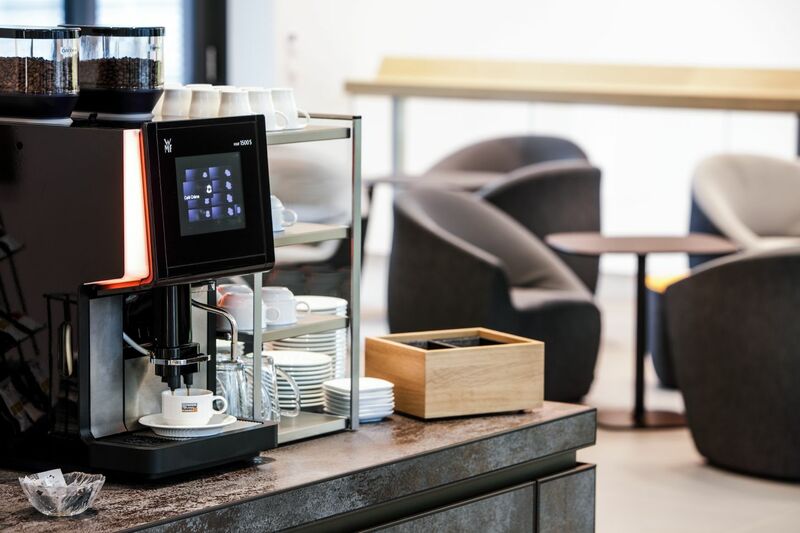 QUADEC in brushed stainless steel frames the tiled countertop and sink. 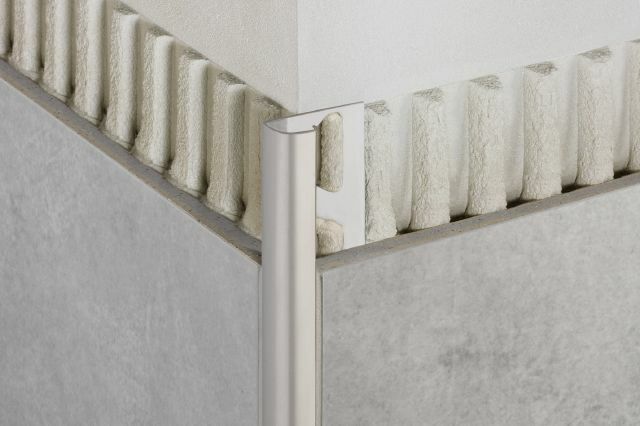 The universal corner piece joins the profiles together. 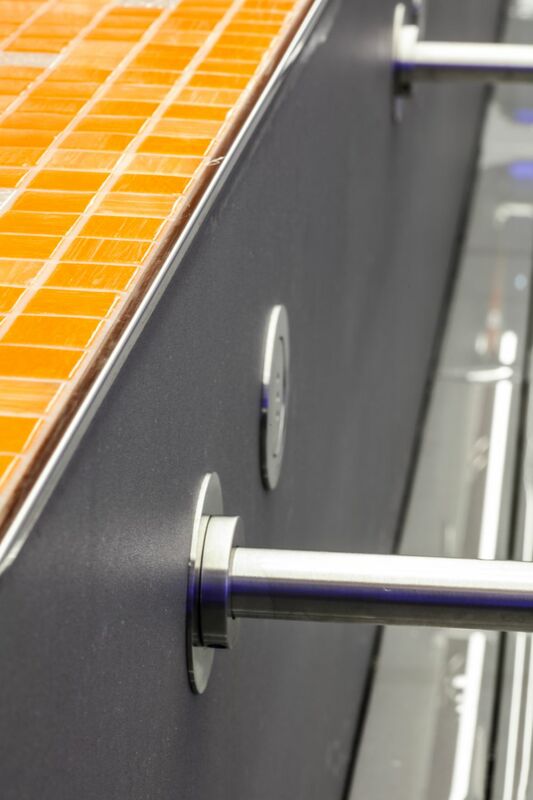 Orange mosaics meet a larger, charcoal tile via the RONDEC profile in stainless steel, designed for walls and countertops. 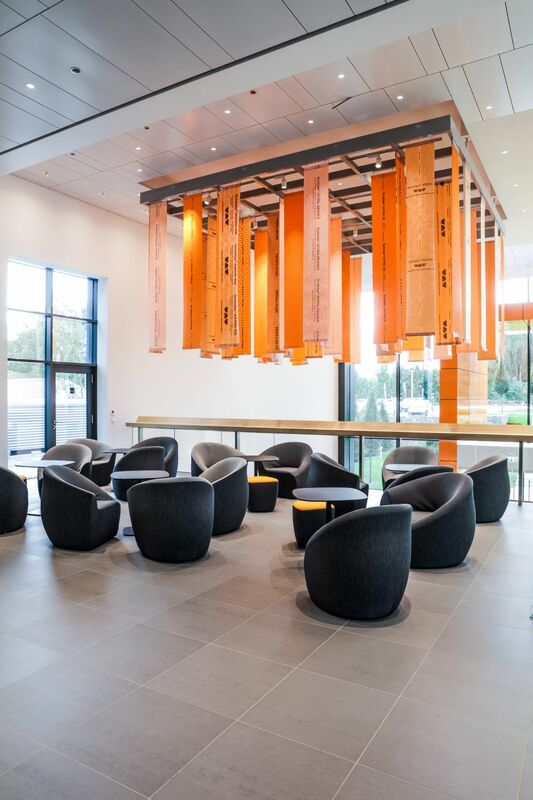 Modular screed system, BEKOTEC lies beneath the tile in this beautiful common area. 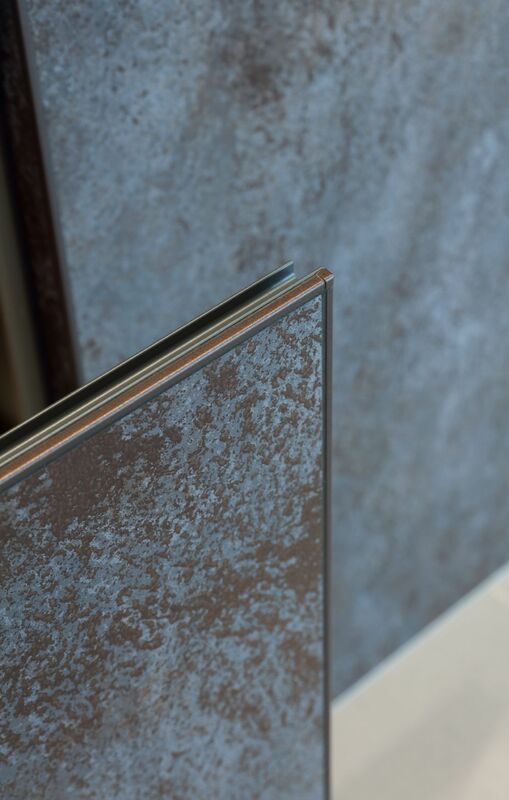 This countertop features a warm-colored tile framed by RONDEC edging profile in bronze texture color-coated aluminum. 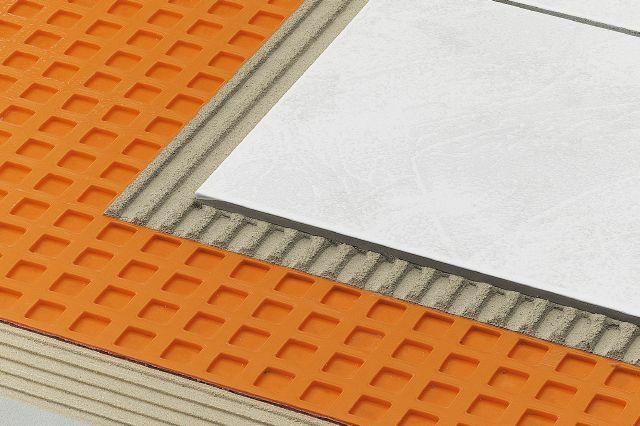 This large expanse of tile lies on top of the BEKOTEC modular screed system. 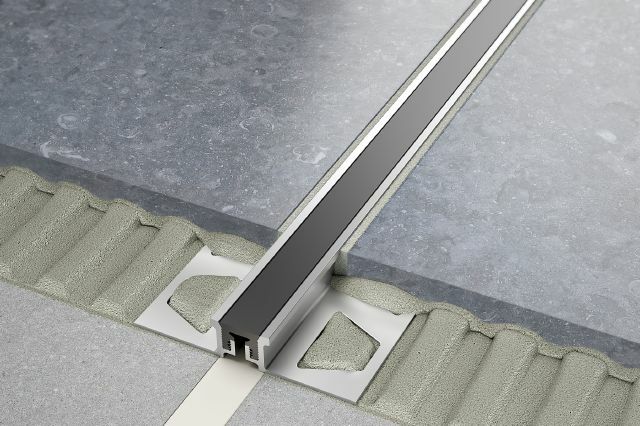 The DILEX-KSN surface joint profile protects tile edges while a soft thermoplastic runner movement zone in grey separates individual fields in the tile covering. 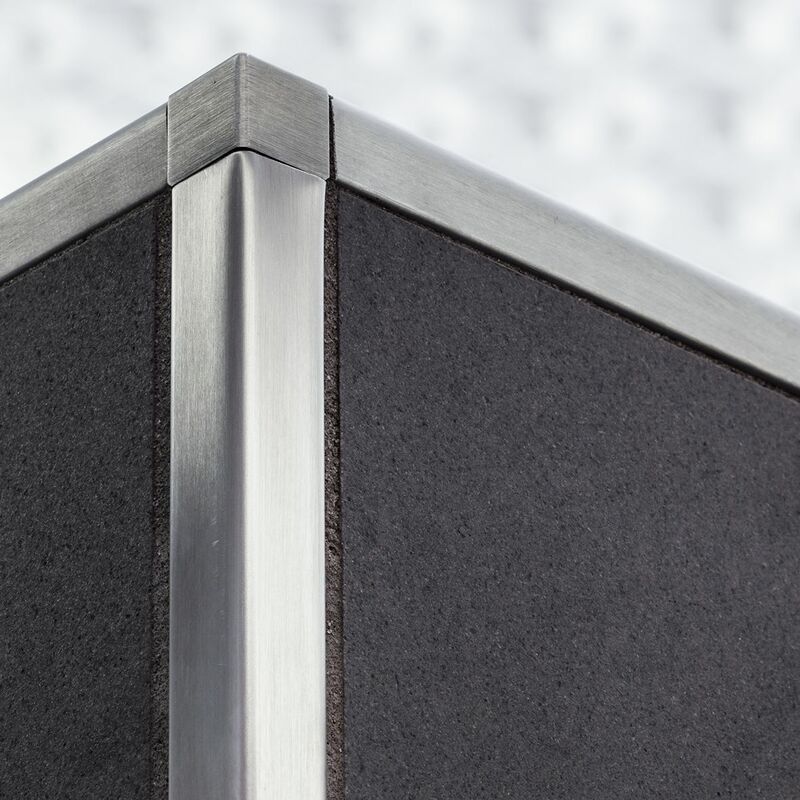 The tiled countertop is nicely framed by QUADEC in brushed stainless steel. 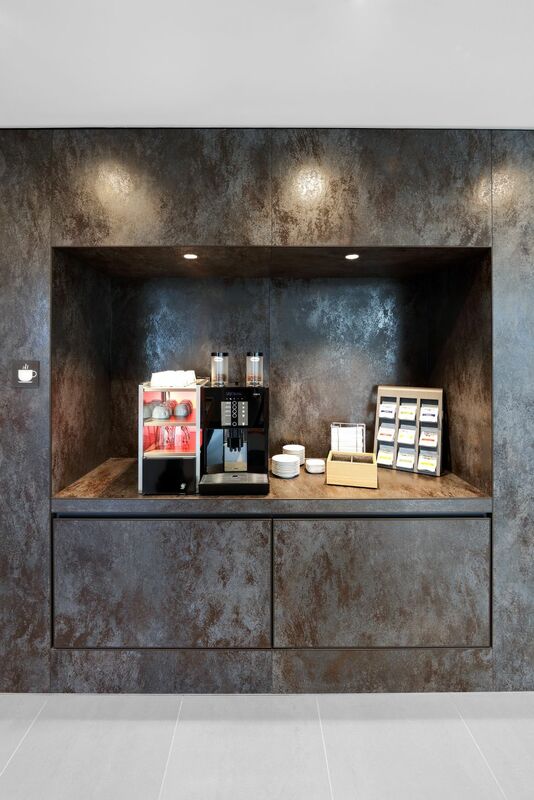 This coffee station is nicely encased by thin, large-format tiles and RONDEC in bronze textured color-coated aluminum. 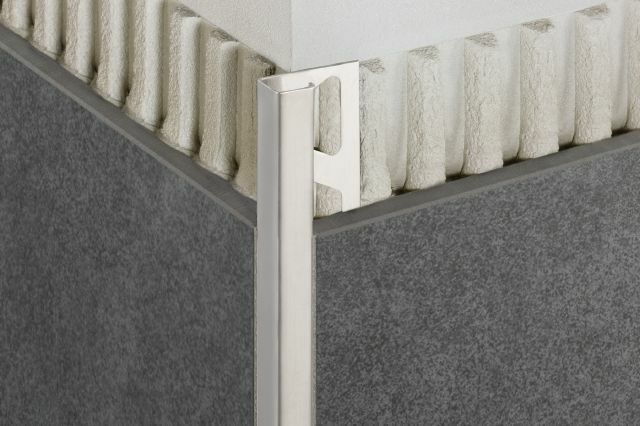 RONDEC in bronze protects the edges of the drawer tiled in a thin tile. 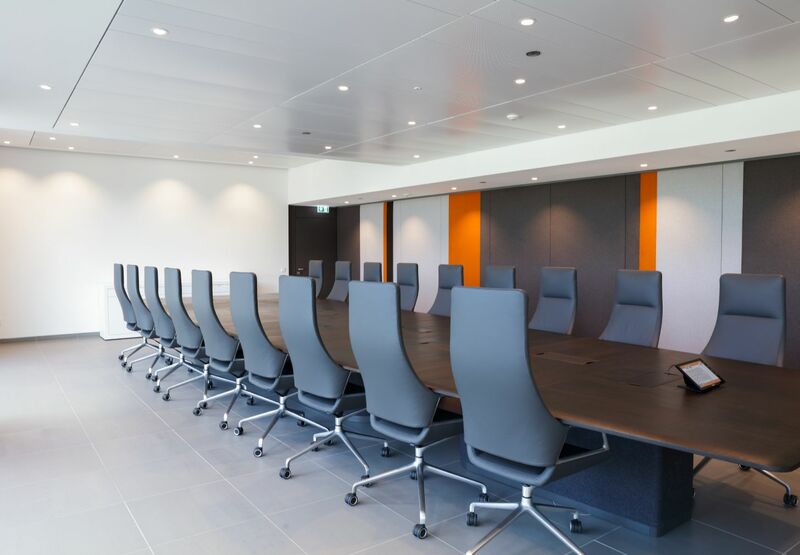 The BEKOTEC modular screed system covers the expanse of floor, underneath the tile in one of the WorkBox meeting rooms. 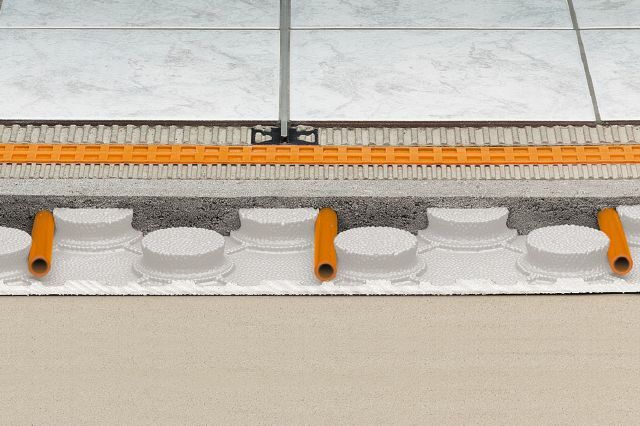 The DILEX-KSN surface joint profile protects and separates tile fields with its soft movement zone. 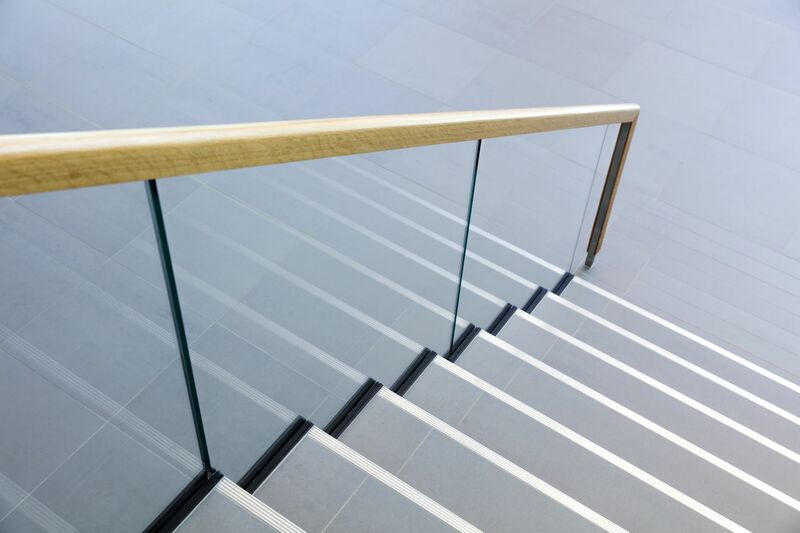 The integrated non-slip tread of the TREP-E stair nosing profile protects the stair edges from chipping and breaking. 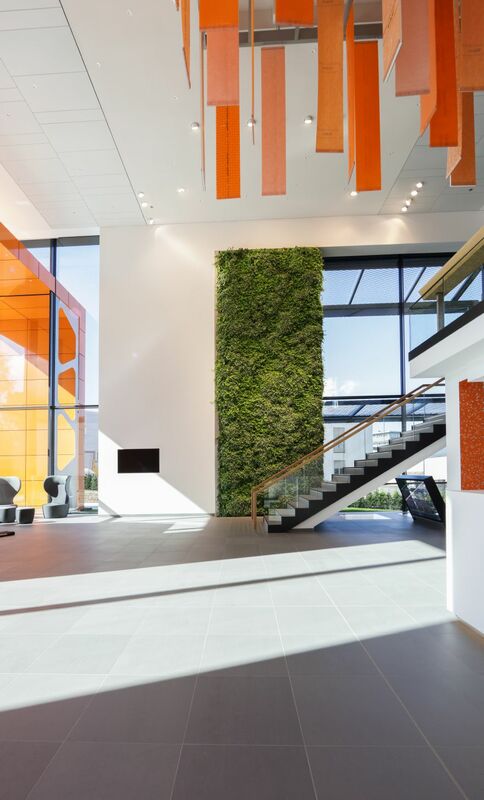 Schluter®-WorkBox is a state-of-the-art workshop and training facility in Iserlohn, Germany. 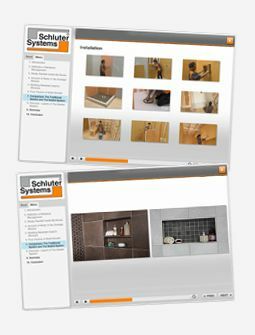 BEKOTEC under floor tile and movement joint DILEX-KSN in G. The lovely display of hanging membrane art includes; KERDI, DITRA, DITRA-XL, DITRA-HEAT, DITRA-DRAIN, TROBA, and TROBA-PLUS. 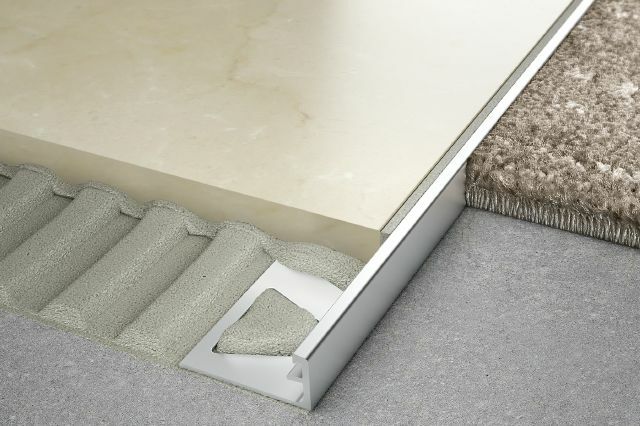 BEKOTEC lies under the floor tile. 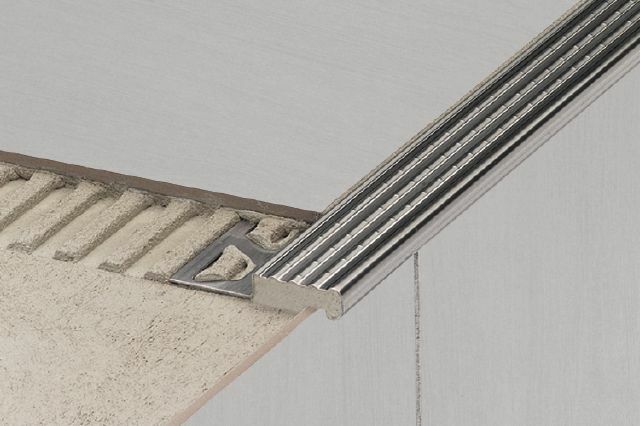 DILEX-KSN in grey is used as the surface joint profile. 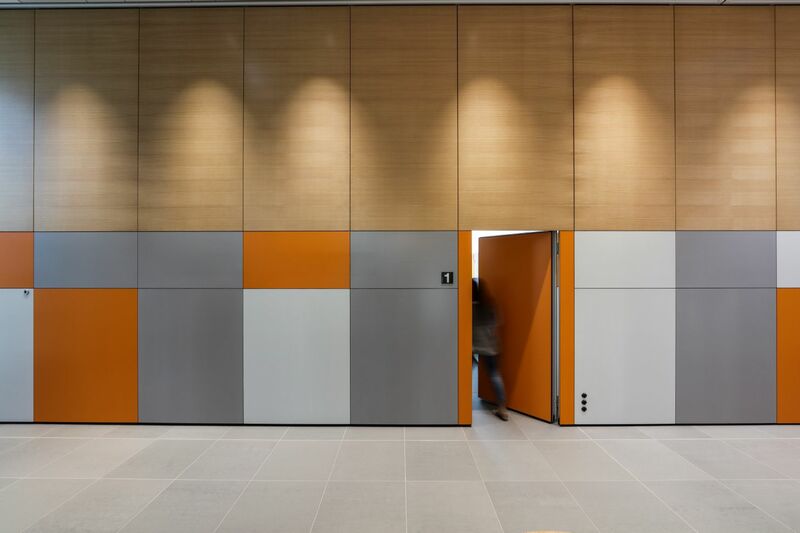 The reception area features the BEKOTEC modular screed system under the tile with the DILEX-KSN movement zone in grey. 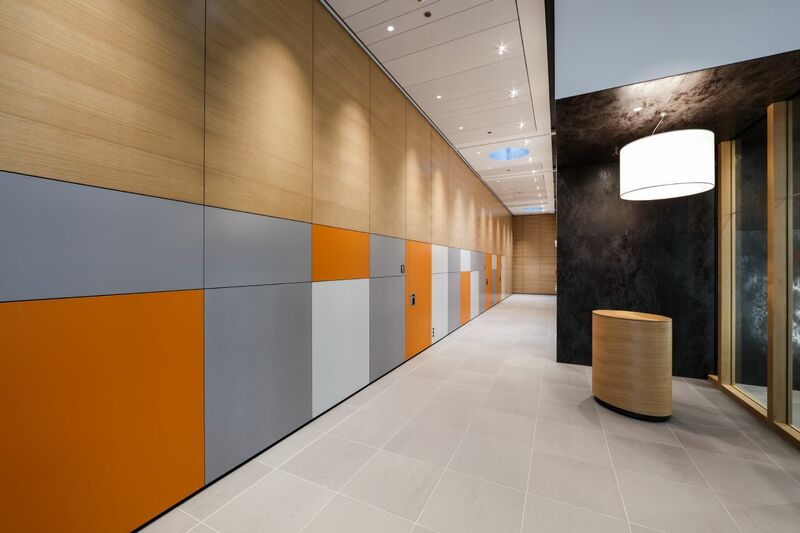 The orange mosaic wall tile is adorned and protected by the SCHIENE wall profile in satin anodized aluminum.